Having a smaller garden, or a smaller family does not mean you want to sacrifice features on your hot tub. 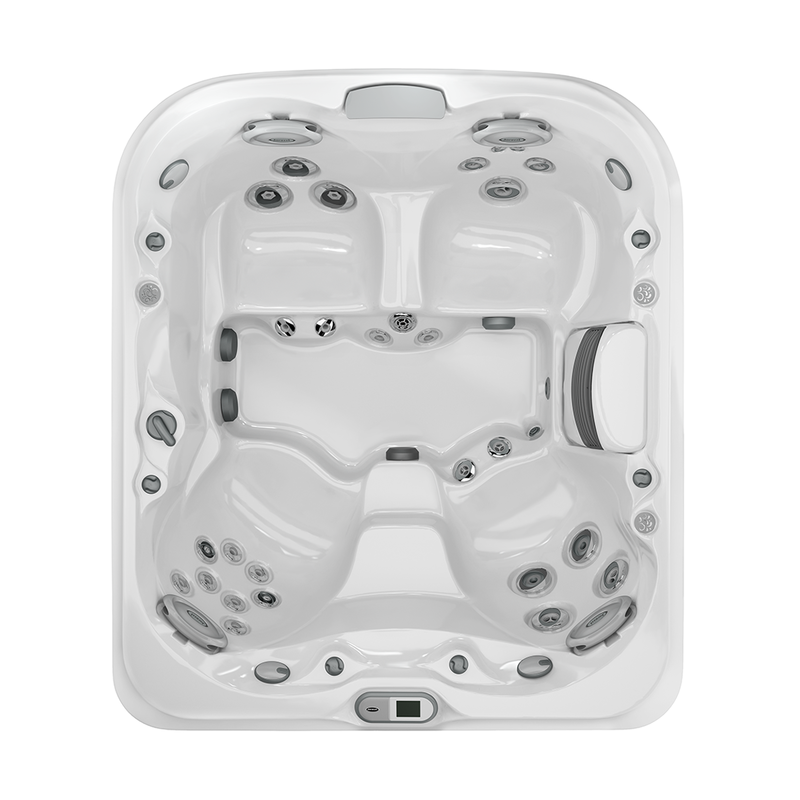 The J-425IP™ was designed to provide all the impressive elements found on the other Jacuzzi® J-400™ Designer Collection hot tubs in a smaller footprint. 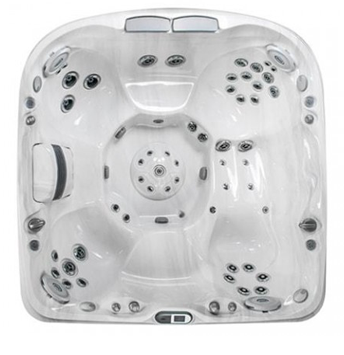 This Jacuzzi® design comfortably sits four to five adults, making it the ideal centerpiece for family and friend gatherings. The patented asymmetrical design provides a striking focal point for your outdoor space. The sound of cascading water from Jacuzzi®’s industry exclusive WaterColour™ waterfall will provide an ambiance of peace and serenity even when you are not in the hot tub. Your family cares can be swept away while two pumps provide a relaxing massage experience to four distinctly designed hydrotherapy seats. This luxury spa delivers best-in-class hydromassage features set with premium PowerPro® Jets, including two robust RX Jets and an LED-lit IX Jet. The combinations of jets provide a range of massage options targeting specific parts of the body and accommodating different body types and sizes. The jets allow for adjustment to make sure that each person’s experience is as incredible as the next. 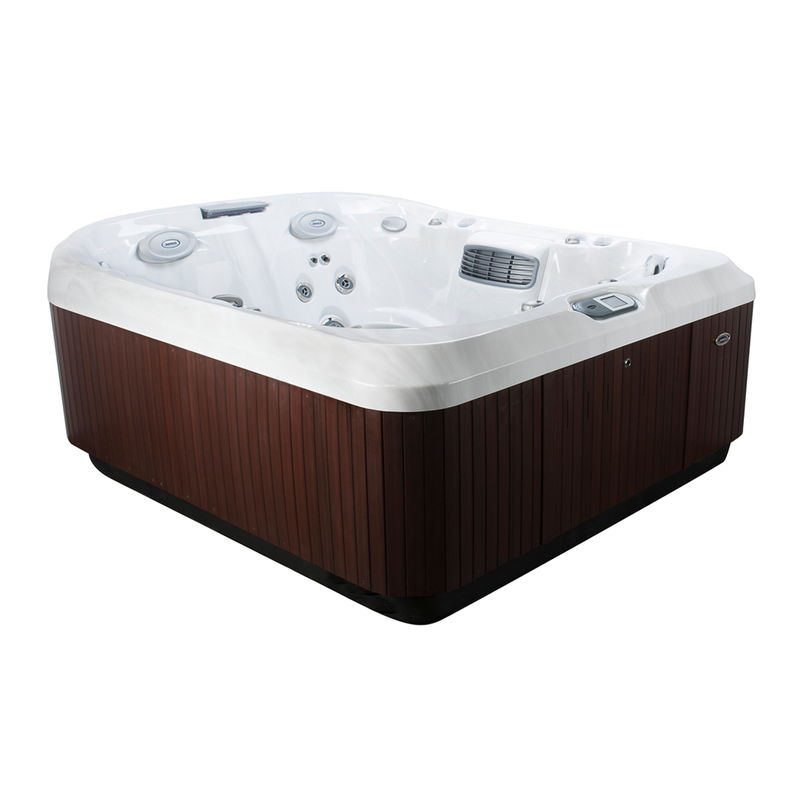 The J-425IP™ model includes a status indicator light for quick reference, backlit pillows, glowing cup holders and an illuminated WaterColour™ waterfall to make it easy to use and enjoy your designer hot tub. Delivers relief to the back and shoulders utilizing spinning and rifling actions for the highest performance hydromassage we offer. This deeply contoured seat covers the broad muscles of the back with a bold massage to relieve tension.